Discover the latest in wellness, health, fitness and lifestyle at DISCOVER WELLNESS, the biggest wellness exposition in Kota Kinabalu. Aligned with the emerging trend in health care, its primary focus is to make accessible the best products and services to the general public and to raise awareness about topics such as fitness, nutrition as well as overall health and wellness. It is also a platform and opportunity for industry leaders, product and service providers to showcase their speciality to a wide range of clientèle.This exclusive 3-day expo aims to bridge the gap between what’s available within the health and wellness industry and the community through its Exhibition and Workshops. Carefully designed to ensure maximum exposure and linear traffic for both exhibitors and guests, expect to witness and sample premium sample product and services offered by participating exhibitors. 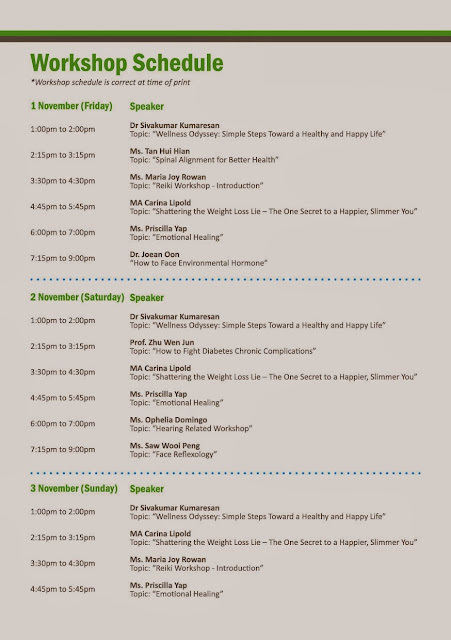 Guests can expect a broad spectrum of speakers, presenters and healthcare professionals to deliver, share and exchange knowledge, skills and techniques. Workshops will be conducted at different times of the day, allowing for interested parties to participate, learn and familiarize themselves with concepts and brands that appeals to them. 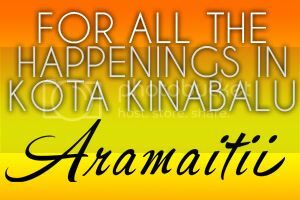 DISCOVER KOTA KINABALU, otherwise known as Discover KK, is a travel guide and a virtual information hub for those who love to travel, discover and experience new things, whether they are tourists, visitors or residents of the beautiful city. The scope of our quarterly published travel guide is citywide and focuses on providing tourists and travellers a comprehensive detail about geographic locations (maps), tourist destinations (attractions, dining, shopping and natural wonders) and contact information as well as itinerary and the latest news and developments in Kota Kinabalu that would allow tourists and visitors to plan a trip to the city, and for residents to find new things to try in their own home town. Over 20,000 copies and more than 50 distribution locations throughout the city and beyond. 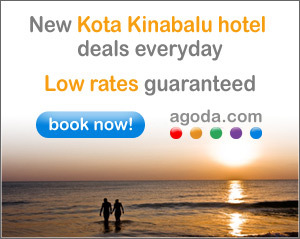 While their website www.discoverkotakinabalu.com features valuable information, photos, maps, planning tools, top rated hotels, things to do, vacation rentals, restaurants, community, deals as well as other online-specific features and free downloadable materials. It is a portal to discover recommendations and get the most out of a destination. 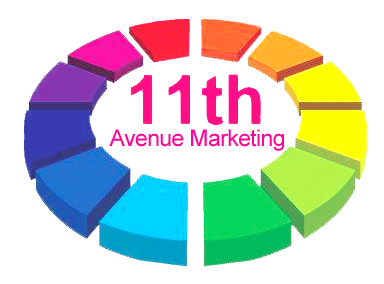 Eleventh Avenue Marketing is a young dynamic company that provides marketing, advertisements and media campaign solutions. Some of the services offered by Eleventh Avenue Marketing include event media management, studio rental, sound and light rental, emcee and dj services, marketing consultation, publication and consultation as well as social media consultant and services. International Personnel Certification (IPEC) is a National and International Personnel Certification platform focusing on the extensive ranges of personnel certification and professional development such as Beauty Science; Health Science; Sport Science; Life Science; Food & Culinary Management; Information Technology Management; Real Estate Management; Public Sector Management. IPEC's Certified Professional and authorized Training and Examination Providers (TEP) as well as its other certification services are specially designed to ensure reliability, efficiency, consistency and relevance to the industry niche and compliant to international standards. IPEC is supported by the Malaysia government under the purview of the Ministry of Science, Technology & Innovation (MOSTI). Visit www.ipec-certification.com/ for more info. BandWidth Magazine is Kota Kinabalu and Labuan's leading FREE music, entertainment & lifestyle magazine. Their existence is to cover local Sabah mainstream and independent music, the sociology nature of people, interesting places, the cultural and urban lifestyle, all sorts of food, films, they have a gadget guru and they have access to all kinds of Kota Kinabalu events. Whatever that gives life to the city of the winds, BandWidth Magazine document them and present them to you on their monthly magazine accessible on their website and at their selected pick up & reading spots. Since 2003, Cosmetic Surgery & Beauty (CS&B) magazine has been addressing the public’s need for information on new beauty solutions. Whether these solutions come across a department store counter or straight from the doctor, CS&B examines these options through entertaining and informative articles. CS&B also offers news on the latest trends and issues in cosmetic surgery, along with the latest in beauty, health, diet and exercise news. Best of all, the content of CS&B is designed with Malaysians and Singaporeans in mind, allowing them to cover the issues most pertinent to consumers in Southeast Asia. The first issue of CS&B was published in June 2003. Starting out as a twice a year magazine published in English, it is now published four times a year in both English and Chinese. The magazine retails at RM20 at major bookstores throughout Malaysia and SGD10 in Singapore. Check out their list of distributors to find out where to get your latest copy. Visit www.cosmeticsurgeryandbeauty.com for more info on Cosmetic Surgery & Beauty Magazine. Ai Beauty Magazine primary aim is to refresh the image of women’s magazine; the creative team behind the magazine is dedicated to showcase not only a woman’s beautiful outward appearance but also to encourage women go on a soul-searching journey. The articles published vary from the tasteful fashion selection to exclusive in depth coverage of beautiful and intelligent alpha women to inspire its readers. Currently it is published bimonthly with a circulation of 50, 000 copies, covering major cities in Asia. Ai Beauty Magazine is also regarded as the “must read” Chinese language women’s magazine in the 21st century. Visit www.fb.com/AiBeauty.com.my for more info. Discover Kota Kinabalu Travel Guide is a premium free-to-take travel companion specially designed to point travelers and residents of the Nature Resort City where to visit and discover where to eat, where to stay, what to do and so much more. The preferred LED Media Advertising in Kota Kinabalu. Life Water Industries Sdn. Bhd. is a prominent figure in the beverage manufacturing industry in Sabah and with 10 years of experience, it has established itself as one of the major local brands to providing Reverse Osmosis Drinking Water (RODW). The company also practices ethical, sustainable and environmentally friendly manufacturing processes in the drinking water industry. Life Water Industries Sdn. Bhd. currently has two branches in Lahad Datu and Kota Kinabalu and a subsidiary called Green Borneo based in Kota Kinabalu.Visit www.lifewater.com.my for more info. Glide Mgmt is the premier modelling agency in Malaysian Borneo with a first class selection of models from South East Asia and beyond. But Glide Mgmt isn't all about posing for the camera or sashaying down the runway; it is also an exciting event management company located in the heart of Kota Kinabalu in Sabah. If you need quality models or amazing events then look no further, you have found the best in Borneo. Visit www.glidemgmt.com for more info. Ministry of Tourism, Culture and Environment Sabah plays an important role in providing services to develop and manage tourism, culture and environment sectors in Sabah. The Ministry also develops and provides a policy and guidelines for sustainable tourism development for Sabah in line with national policies. Visit www.kepkas.sabah.gov.my for more info. Part of its vision and mission is making Kota Kinabalu a prosperous natural resort city with sustainable development by year 2020 and govern the city through the delivery of efficient, transparent and professionalism. Visit www.dbkk.sabah.gov.my for more info. Sportmart Sdn. Bhd. and Carino are the industry leaders in sporting goods retail business in Sabah in providing a wide assortment of quality, brand-name sporting goods. Both companies are dedicated to providing their customers with the best shopping experience possible by consistently providing great brands at great values. Impact Zone is a young, multi talented, creative and fun group of event and exhibition specialists providing consultation in the organization, production and management of events, meetings and exhibitions. Visit www.impactzone.com.my for more info. 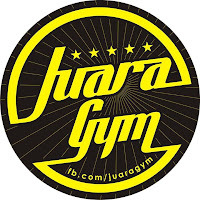 Established in 2009, Core Fitness is currently the leading fitness provider in East Malaysia. Their business is dedicated to helping individuals make effective and sustainable changes towards living a healthy lifestyle. Backed by their team of fitness professionals and nutritionists with many years of experience, they exist to provide you with all the best ways to lose weight, get fit, and stay healthy. Established in 1993, locally based NewLife™ Malaysia, is an organisation that is firmly rooted in natural healing and holistic health. It has grown by leaps and bounds from its humble beginnings as a business for the personal consumption of the founder's family. Today, it is a business which has successfully touched and benefited thousands of lives, both within Malaysia and regionally. It advocates the important principles of freedom from diseases and how this can be coupled with financial freedom. Inspired by the Rafflesia flower, the biggest flower in the world, unique to Borneo, Rafflesia Spa aspires to be one-of-a kind Balinese themed Spa in Kota Kinabalu, catering to your wellness needs through high standards of service and professionalism, with top-notch facilities to match. HS Living Solutions is proud to be the sales representative of DIAMOND international and as an internationally renowned kitchen solutions provider, its extensive catalogue also include various DIAMOND smart kitchen and lifestyle appliances and Healthie Kitchen. Some of its most sought after products include DIAMOND Spa, DIAMOND Air Purifier, Vess Delicooker and Life Rice Maker. DermSense, being established for more than 10 years, uses cutting edge equipment and the latest technologies in non-surgical methods. Each approach leads to effective and safe results, as all treatments have gone through rigorous testing and approvals. This makes DermSense one of the most advanced skin health and beauty centres. BP Healthcare Group is certainly an undisputable leader in the Malaysia Healthcare Industry, serving more than 35 million customers over the last 30 years and still counting. They provide comprehensive health care in all discipline to cover the needs of Medical Practitioners, Hospitals and Corporate Clients. With capabilities across the entire spectrum of healthcare services, BP Healthcare Group can drive improved patient outcomes and lower overall health costs more effectively than anyone else in our industry. 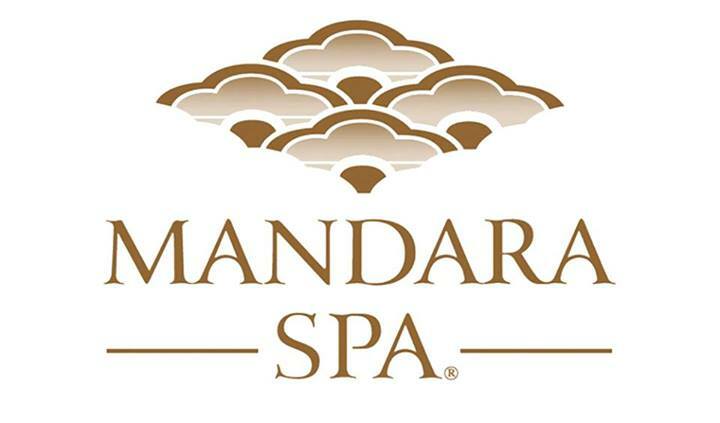 Relax and unwind to therapeutic Balinese massages at the Mandara Spa at The Magellan Sutera Resort and Body Senses by Mandara at The Pacific Sutera Hotel. Renowned for its quality, excellence of service and finesse, guests are pampered in beautifully decorated rooms or under the open-air pavillion by the beach at The Pacific Sutera Hotel. Featuring six single and six shared treatment rooms in a double storey facility, the Mandara Spa offers each guest an exceptional spa experience with treatments and traditional beauty recipes originating from Bali which capture the healing and nourishing essence of nature with only the finest and freshest, indigenous ingredients. 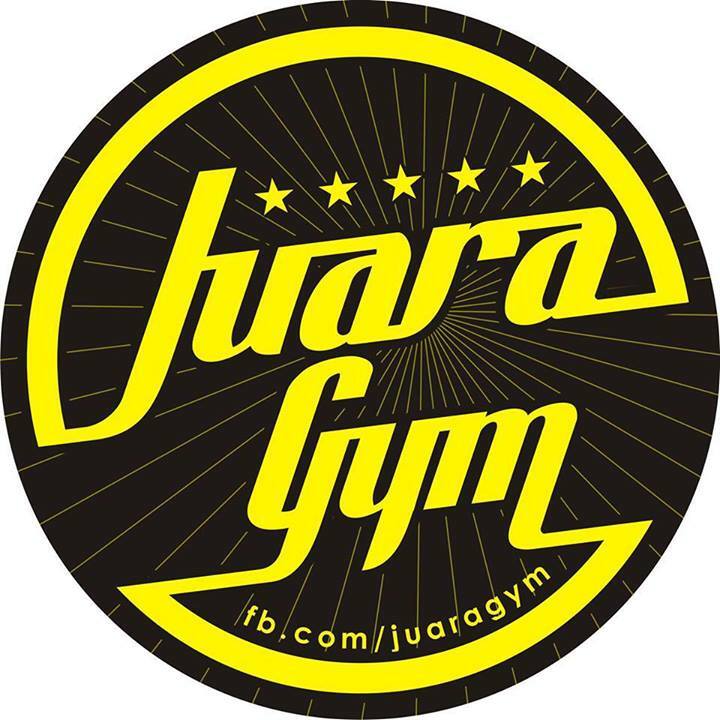 Let JuaraGym be the place to unleash the champion in you! You will find all the essential equipment you need to have a productive workout; state-of-art cardio machines, free-weights equipment to challenge you to conquer your PRs and the best weight machines are only some of the features available at the gym. The ideal setting within the scenic surroundings of the traditional homes to the ethnic groups in Sabah, Malaysia, enhances Ka'andaman's charms as traditional healing garden. 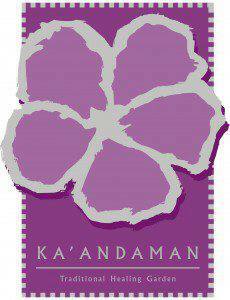 Ka'andaman which means 'memory' or 'remembrance' in the Kadazan language, aptly describes the place and the feeling of every guest will sense after a visit. Imperial Beauty Spa is recognized as one of Sabah’s leading beauty academy that has been fulfilling dreams of many aspiring aestheticians. Principle Win Chong has 15 years beauty industry experience and her vast knowledge in beauty has taken her to become one of the professional judges for 2010 bridal make up competition and 2010 Miss Borneo Beautiful Sabah as well as a beauty and make up examiner. Bee Choo Origin is a company that specializes in traditional herbal herbs treatment that controls hair loss, promote hair growth, cover grey hair and improve scalp condition. Visit www.beechoohair.com for more info. Scalp Organic Solution does not limit itself to selling scalp and hair products for everyday use. The brand extends its dedication and authority in scalp and hair health to clinical consultations, treatments and the very best products for everyday hair care. As each session concludes with complementary professional consultations, consumers can continue to care for their mane long after their session. Visit www.fb.com/ScalpOrganicSolution‎ for more info. Wealth Food Enterprise is one of the leading household health whole grain brands in Singapore and Malaysia. 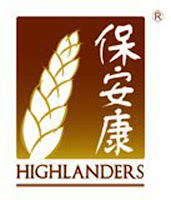 Its main product, Highlanders, is a brown rice based food and beverage that has been marketed and sold in many Asian countries. 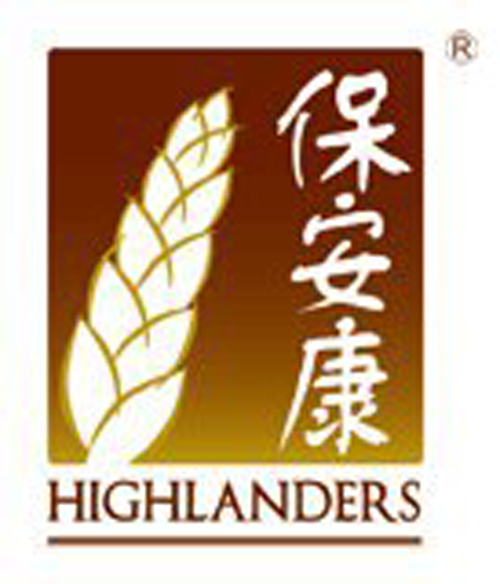 The founders of Highlanders are devoted to educate consumers the obvious benefits of brown rice and the importance of changing to whole grains in place of refined grains. Visit www.fb.com/WealthFoodsEnterprise for more info. Founded in January 1999, GlucosCare International Pte Ltd specialises in the research and development of glucose-management herbal tea products. GlucosCare is a subsidiary of Wen Ken Group, an established Healthcare Group with over 70 years of experience. They are dedicated to the research and production of natural herbal tea products that are clinically proven to be safe and effective in managing high blood sugar, as well as improving general health and well-being. Their herbal tea products are distributed to more than 20 countries around the world, including Hong Kong, New Zealand, Kuwait, Serbia and Poland. Deemed as the most efficient cocoa bean processing plant in Asia, Majulah Koko has been processing, marketing and selling cocoa products for over 20 years to international buyers including Nestle and Norvatis, the brands that produce the preferred beverages like Milo and Ovaltine, as well as Cadbury, M&M Mars, Gerkens and EDF & Man. VWA Cellular Functional Water System is rated as the No.1 water ionizer by 3 major U.S. Surveys. 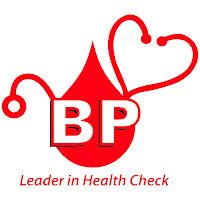 It has assisted countless of families in staying healthy. The globally renowned VWA System is a registered medical device in Korea FDA. It provides the highest count of natural antioxidant in the world, 100% chemical free. Its antioxidant potency is 10 thousand times greater than Vitamin C. This is attributed by the most state-of-the-art hybrid solid and mesh plate technology. We are sub-distributor for two prestigious brands, namely Environ Cosmeceutical Care and Jane Iredale Mineral Skin Care Makeup. Our products are available through aesthetic doctors and beauty therapists, spas and dermatologists. Inspired by Nexus Resort Karambunai, “A tranquil haven for the senses…”, Borneo spa revives age-old traditions of natural healing from both East and West as means to rejuvenate and restructure the equilibrium of our body, mind and spirit. Borneo Spa practices soothing holistic treatments and uses pure essential oils in aromatherapy massages, facials and signature treatments. To enhance customer’s experience and for privacy purposes, Borneo Spa is equipped with private showers, a health bar, separate male and female Jacuzzis, sauna and steam bath facilities, as well as fourteen therapy rooms within its 9633 square feet spa. Or, take it outside by the seaside for an alternative alfresco massage environment under the romantic rustic cabanas to add the element of the sea to your massage experience. Award winning premier lifestyle boutique day spa, South Sea Sanctuary, focuses not only on relaxation therapies and beauty treatments, but also holistic health. Advocates of healing and transformation to heal the body, mind and soul, the highly qualified therapists and experienced team of experts pride themselves for providing top notch spa services and for being an environmentally sustainable establishment. The spa itself is designed to be eco-friendly and all of the products used are of the highest quality organic products that are safe and gentle. Vernice Beauty & Slimming Centre celebrates individuality by bringing you Sans Soucis, German’s best selling skincare that specializes in treating different skin types through its complete line of cosmetics, skin care products, bath and body care. Sans Soucis maximizes the use of natural and innovative ingredient all of their products, which have all been dermatologically tested by various independent skincare institutes. Ophelia Hearing Specialist goes beyond hearing test. As the only private audiology clinic in Sabah, their dedication towards providing solution for better hearing is the hallmark of their service. The brand broke into Malaysian market in 2006 and with its tagline “We Bring Wellness”, positions itself as a home appliances brand that is 100% eco-friendly. To date, there are more than 40, 000 satisfied customers in Malaysia and the number is rapidly growing. Some of Coway's most sought after appliances are the high storage capacity water purifier, smart bidet system, water softener and air purifier series. GoodMorning Global health and skin care products are produced locally in accordance with Malaysia’s Islamic requirement and specifications (Halal certified) as well as matching the global standards. GoodMorning Global has also received the Hazard Analysis and Critical Control Point (HACCP) certification to ensure product safety and quality. Lactovida is a probiotic health drink certified by the Ministry of Health Malaysia and SIRIM as a food supplement and is currently distributed in its home country and in various Asean countries. Specially formulated for the health-conscious, especially those who are constantly on the go, Lactovida is delicious cultured drink suitable for all ages, even children. Established in 1989, Groway Malaysia is the distributor and marketer of quality health food products and supplements; Solaray, GreenLife, Dermareen White and Shape CLA SlimZ and is home for over than 80 other health products. Groway is also committed to develop and introduce a line of potent products that use 100% natural ingredients without compromising taste. The manufacturers work closely with Groway adheres to the brand’s stringent quality control to ensure all ingredients match the identity and principles set by Groway. The brand is also committed to provide end consumers information they need as well as implementing the process of self-education through provision of reading materials as its in-house newsletter, “Rainbow”. Certified by Ministry of Health Malaysia, RBS Amorita is the latest beauty solution available. Amorita Solution, Amorita Mulberry Cream & Soap and Amorita Skin Cleanser are formulated using herbal ingredients to suit all skin types, including young and aging skin to remove all the gunk on the skin, exfoliate dead skin cells, treat acne, dark spots, oily skin and heat rash, rehydrate dry skin as well as protect the skin from the side effects from prolonged sun exposure. The formulator and developer of MFIII of Switzerland, Lab Dom Suisse Inc, is the sole holder of the licensed method of extraction in cell extraction and world leader in the generative medicine industry and cellular therapy field. Maintaining the bioactiveness of the active substance of cell extracts is not an easy task; no cell extracts are the same because the methods of extraction vary from one to another. It can only be done with the Swiss’ unique, closely-guarded secret of cold enzymatic acid process during extraction without the destructive effects of heating from 125°C to 180°C as used in the common sterilization process. Aroganic Beauty & Wellness infuses modern health, wellness and beauty care with a holistic approach; offering total face and body care, complete with slimming and spa services. All services are a unique blend of the latest technology and the skillful human touch with Eve Taylor Aromatherapy Essential Oil. All this coupled with the best value is customized to complement the individuality of our clients; the modern men and women. Enzyme Home Sdn. Bhd. promotes healthy lifestyle and good environmental values; we are also educating the public to create DIY remedy to help prevent kidney, gallbladder and liver problems. We supply enzyme and quality organic products to meet consumers’ needs. We have a range of products made from enzyme; Healthcare Series, Household Series and Personal Care Series. CelebBeauty puts quality as its first priority. That is why CelebBeauty only endorses world renowned brands that have been proven to be safe and effective. Its top brand, Intraceuticals, is loved by many Hollywood celebrities including Miranda Kerr, Robin Thicke, Kim Kardashian, Victoria Beckham, Eva Longoria, Katy Perry, Fergie, Jessica Stam, Channing Tatum and many others. Silver Ribbon is the future of the world women's health care concerns; the non profit organization participates in gynecologic cancer advocacy to promote awareness of female reproductive system. Persatuan Sindrom Down Kota Kinabalu (otherwise known as Down Syndrome Association Kota Kinabalu) is a registered not-for-profit organisation in the state of Sabah (Malaysia), dedicated to serve the needs of families with children and adults with Down Syndrome. Buddy Walk® was established in 1995 by the National Down Syndrome Society to celebrate Down Syndrome Awareness Month in October and to promote acceptance and inclusion of people with Down syndrome - it is the original idea that inspired Buddy Walk for Down Syndrome. MAKNA (Majlis Kanser Nasional or the National Cancer Council) is a not-for-profit social enterprise mainly tasked to pool and utilise every effort, expertise and financial aid from every faction of society, and to fight cancer and reduce the related pain, suffering and morbidity that cancer patients and their families often experience. Kinabalu Pink Ribbon aims to provide emotional and psychological support to all breast cancer survivors and their families; provide counseling service during or after treatment; and to increase breast cancer awareness through public education.